September was an incredible month for me. Not only did I go on an incredible trip to Europe and visit Athens and see the Acropolis, something I've wanted to do for over ten years, I achieved a truckload of writing goals. First off, I finished a bunch of edits for my upcoming Dark Sky trilogy– I completed the Beta edits for the first novel, Crimson Sky, and submitted them to my editor for her to look over soon. I also completed the second draft of the third novel, Obsidian Sky. While the release date for Crimson Sky isn't until February 2016, I'm hoping to get most of the work done so I can finish the hard stuff and simply release it when the time comes. I also completed the first novel in my Areios Brothers series, Trick of the Gods. I don't know exactly when these books will come out, since I'm still playing around with the world and the ideas, but I'm hoping for a release late next year after the Dark Sky series is done. I'm about ten chapters into the sequel, Hunt of the Gods, and though I do need to go back and do some editing, I'm hoping to complete the first draft by the middle of October. 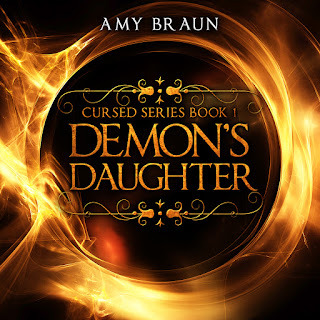 Speaking of releasing, this month I should be getting the cover and promotional material for the second novel in the Cursed trilogy, Dark Divinity. Once I have it, I'll be working on the formatting, then putting together the media kit and teaser chapter to put on my press release page. I'm very excited to see what the designers and miracle workers at Deranged Doctor Design put together this time around! 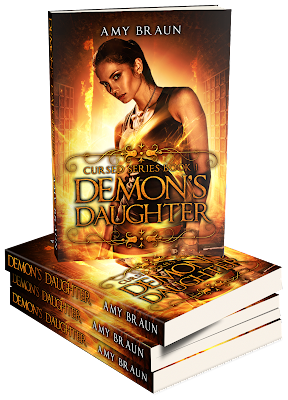 I'm also going to be contacting the wonderful reviewers at One Book Two, who featured Demon's Daughter as their first ever giveaway, to do so again! Since NaNoWriMo is just a month away, I'll also be planning my next standalone novel. I completed the plot and some of the backstory while I was on vacation, but since I did it in such a long span of time while sightseeing and absorbing three other countries, I need to look it over and finalize some of the details. I also might be changing the name or altering the story to fit it. What I can say is that it's a story about a tough, female Fae warrior that tangles with the Wild Hunt, and likes to gamble with more than just money. It's going to be insane. Basically, what I'm saying is that October is going to be a swamped month for me. But I'm going to approach it head on and keep working hard. It'll all get done sooner or later! P.S. 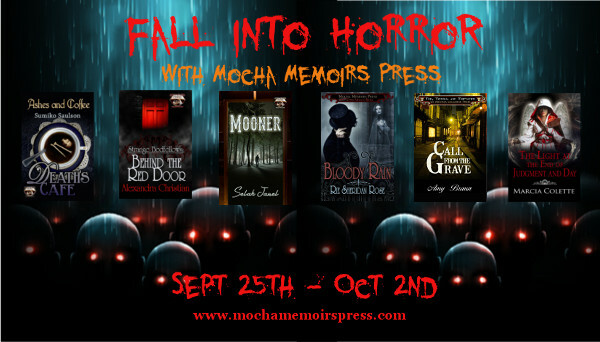 : While the promotion is drawing to a close, make sure to take a look at Mocha Memoirs Press's Fall Into Horror event. I've been featuring independent authors on my blog all week, and it's been a great learning experience. Hopefully I'll be part of another one soon!